If you've been keeping up with my Youtube channel, you should know that I bought 10 retail blaster boxes of various products through Dave and Adam's card world. I figured this would help me save money, and also help me have a variety of products to open as my local retail chains have pretty much dried up. 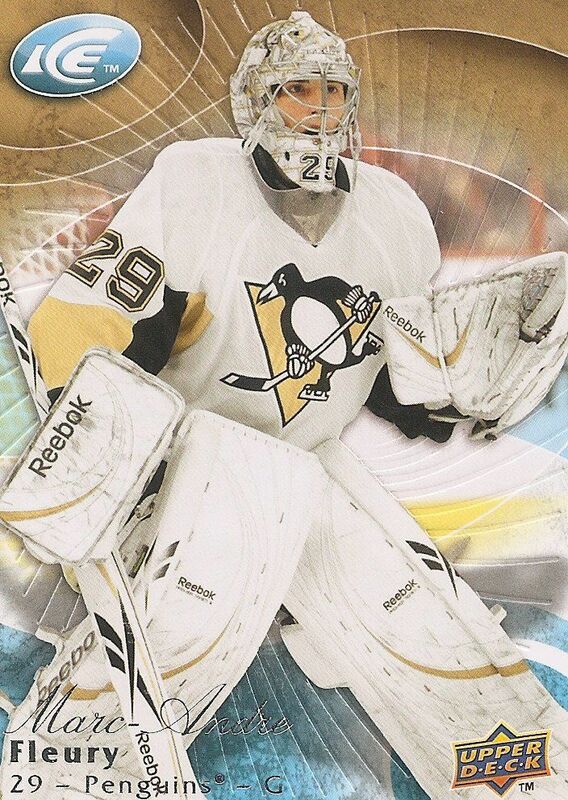 First up from that 10 blaster box shopping spree is 09/10 Upper Deck Ice. I asked my Youtube viewers to help me decided what to open first and this was what they chose! You can help determine what my next blaster will be at the end of this post. Upper Deck Ice is a product that has made its home in other Upper Deck products for the past 2 years. They have come in the form of bonus packs inside boxes of Black Diamond and SPx. Collectors have always loved the acetate rookie cards found in the product. The rarest, numbered to just 99, are always sought after and always command a very premium price. 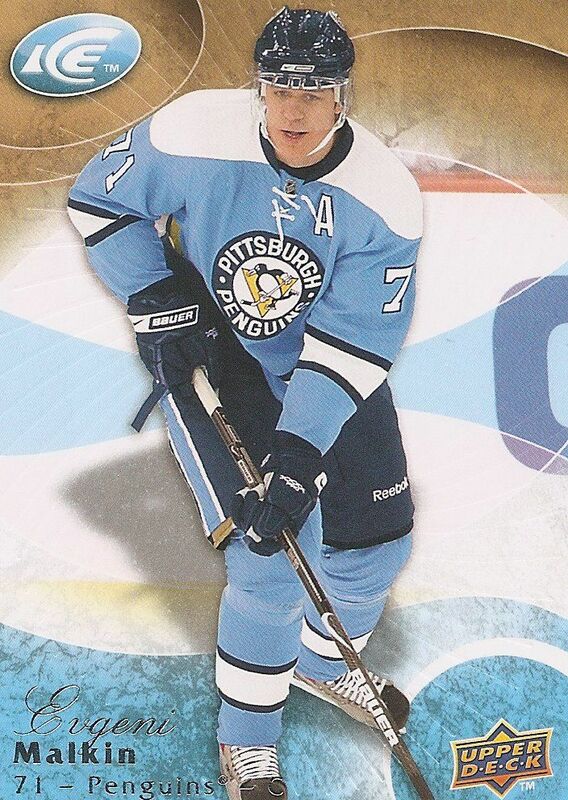 Of course, getting an Ice Premier rookie card numbered to 99 is no small feat. The cards are notoriously hard to find. And purchasing a blaster box of Ice guarantees the buyer absolutely nothing. I knew to prepare myself for the worst as I began ripping into my blaster box. The rip was a quick one as there were only 5 packs to open. Opening the packs up I was impressed with the base cards. The base cards made superb use of the player's team colors and even had a textured burst etched into them. But other than being impressed with the quality of the base design, I was really left with nothing to show in terms of hits or rookies. And in these days of collecting, that is what collectors are really looking for when they put down their money on a product. I bought this blaster for only $7.95 from Dave and Adam's, so I didn't feel like I lost too much. For $7.95 you can barely buy a mid-level hobby pack, but I know I would be very upset if I had paid the full $19.99 asking price that's printed on the front of the box. At least when buying an Upper Deck Series 1 or 2 blaster there are a couple rookie cards guaranteed to be found. With this blaster it is a complete gamble... and actually a gamble with very poor odds of getting anything of consequence. The odds state that an Ice Premier rookie card can be found 1 in every 15 packs. That works out to 1 in 3 blaster boxes. Now, that doesn't really mean much if you think about it. 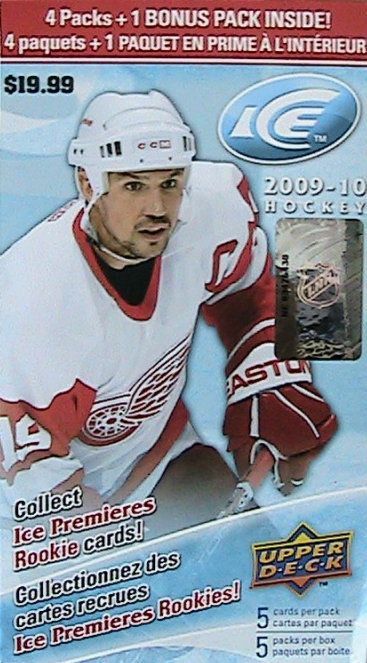 That's not getting you a John Tavares, Evander Kane, Matt Duchene, or Logan Couture rookie card. It really means getting a level 4 no-name rookie numbered to 1999. And that's not a card that would be worth the $20 the blaster cost. Even harder are the jersey and autographed cards which fall 1:24... and veteran collectors know that finding a scrub auto or jersey card in Ice is a very common occurrence. So for my blaster of Ice today I was disappointed. I got absolutely nothing... but knew what I was getting into when making this purchase. But you know what? One day someone will buy a blaster of this stuff and pull the big one out. And that's why we drop coin on these things. Just for that chance. 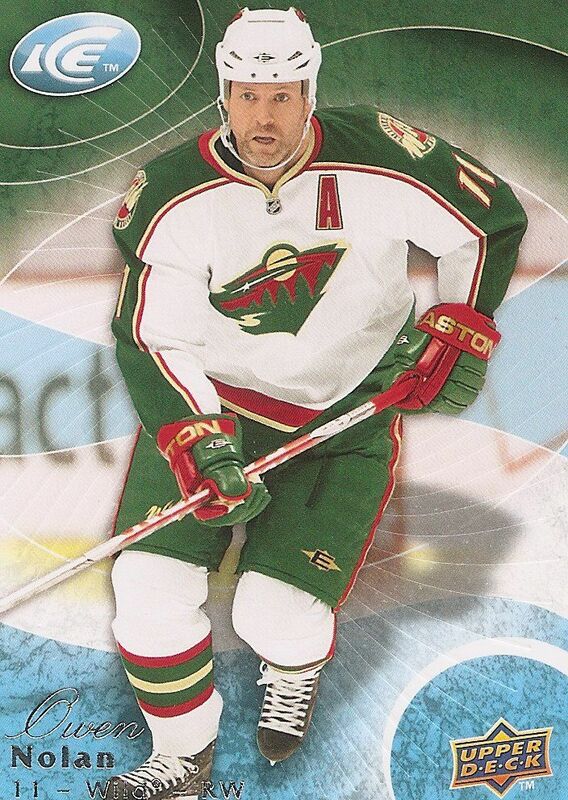 It's great to get cards of the former Sharks captain. Sad to look at the back and see all the teams he moved from after being a Shark though - Toronto... Phoenix... Calgary... Minnesota. Malkin is a big dude... but an awesome hockey player. Amazing to see him win the MVP of the league this past season! I'm a big fan of 'The Flower'. This former overall number one draft pick is a player that I have a PC of. Ice is a product that is extremely high risk and extremely high reward. But for stuff that is like that, you are more likely to lose all your hard earned money on it rather than get anything back from it. I hope you saw this break of mine and appreciate the difficulty of pulling anything good out of Ice. It doesn't mean that you can't, but it's a product that is too easy to throw money away on. Better off just buying the card you want out of it on eBay. That'd be cheaper for sure. Let me know what you thought of my Ice blaster box down in the comments below. Have you ever gotten anything good from one of these? I'd love to know! And help me figure out what to open up next Sunday! Here is the list of remaining products. You can tell me what you'd like to see in the comments section.